Don't know what you need? Don't worry just give us a name and location and we will help to get you started. Then you have come to the right place. Feel free to research the types of cranes that would work best for you. We can build your custom overhead bride crane today! Our technicians are certified and ready to serve you. Have a unique problem? 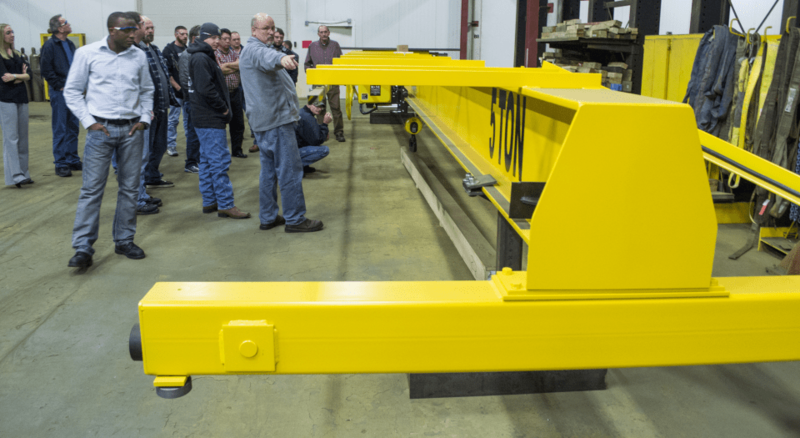 Our special bridge cranes include telescoping, stainless steel, cantilever, curved railed, and load switching systems. We have a variety of training classes such as Sales Training, Operator Training, and Overhead Crane Inspector Training. Let us build your Overhead Bridge Crane today! We are open! CraneWerks is always open and standing ready to serve its dealers and their customers with quality overhead crane systems, workstation cranes, hoists and other material handling products and services. This web site is a portal for all things crane related and for whatever amount of time we are graced with your presence, we truly appreciate it. Our company of trained specialists welcome your requests. This site is packed with helpful information and offers 23 different quote request forms to guarantee you get the correct equipment for your application. This large number of detail-oriented request forms is unprecedented in our industry. However, the single most helpful item on our site is our phone number 888-544-2121. CraneWerks welcomes your calls and the opportunity to get to know and serve you. If you need help, please call us. Our goal is to provide “yes answers” to our dealer base so they can always be in a position to answer “yes” to their customers when they ask for: Runway Crane Systems, Bridge Cranes (including the free standing bridge cranes and overhead traveling cranes), Hoists (including stainless steel hoist units), Jibs, Gantries, Industrial Overhead Crane systems, Below the Hook Lifting Devices and Hoist Monorail systems – or when their need is for Engineering, Field Services or OSHA Specified Inspections; Our answer is yes to Hoist Remanufacturing, Field Services and Installation Nationwide. We hold the key to turn-key overhead crane systems and material handling installations with our broad list of products and our trained installation teams. CraneWerks offers the only cooperative dealership opportunity in the US that’s focus is to equip its Dealer Team with the tools they need to be dominating suppliers in their geographic territory. CraneWerks is structured to help equipment users get their best return on investment by making the process of purchasing Overhead Cranes for sale, other Crane Systems and other Material Handling Items precise and efficient and by offering quality solutions at a low price. The ever changing market we live in is placing new demands on industry including the growing need for ergonomic solutions to limit the repetitive lifting of even light loads that individuals are allowed to lift. CraneWerks has answered this need with its new line of WerkArms and Articulating Jibs. These tools are available in capacities as light as 50 lbs. U.S. worker safety has never, in the history of our country, been stressed as much as it is today. 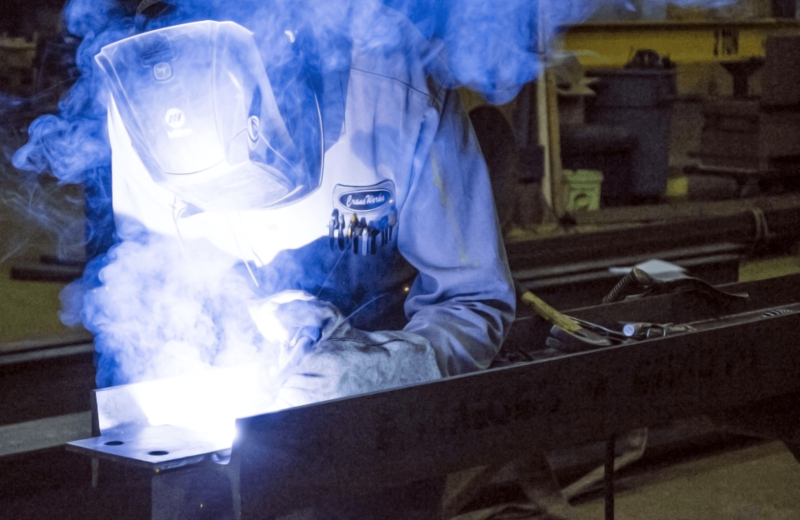 CraneWerks embraces the push to develop the US work environment as one of the safest in the world. The development of fall arrest safety equipment is quickly becoming one of our specialties. We also offer: Crane Operator Training, OSHA Specified Crane and Hoist Inspections and other training and inspection services including Runway and Crane Surveys. We are proud to be aligned with the best suppliers and the best material handling people in the business so that we may bring to you the best possible overhead traveling cranes, workstation cranes, and other material handling solutions. Call or e-mail us today, we will be excited to hear from you.